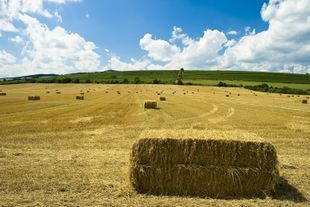 Early Harvest CPA, LLC specializes in Accounting for Agricultural businesses. We also have experience with manufacturing, retail and service based industries. Small business is our passion! We believe that everyone would like to have a CPA on call to handle their books, but they don't think they can afford one. That's why we base our fees on your annual revenue and offer monthly services which include the annual tax return. We also offer discounts if you purchase multiple services such as: payroll, training classes, QuickBooks setup or conversions, etc. We even publish our fee schedule so there are no surprises. Click the button to the left labeled "fee schedules" to see a range of our fees and the services we offer. Our goal is to serve our clients which is why we adjust to your needs. We know you are busy running your business, that's why we come to you. We are available evenings and weekends, outside of normal business hours. We change our schedule to fit yours, not the other way around. If you are ready to see the difference between us and other CPA firms, call the number below or use the "more information" form at the bottom of the "About" tab to contact us. We also have a passion for Financial Literacy. We believe the more you know and understand about finances, the wiser your decisions will be. A healthy financial life enables you to be successful in other areas of life and reduces stress. The Financial Literacy tab has links to outside websites with useful information. There is a file to help you get your financial life in order, and its free! We will also speak to your organization on financial literacy - free of charge with no obligation.